Five months after Richmond Mayor Dwight Jones unveiled his proposal to build a minor-league baseball stadium in the heart of what once was the largest slave-trading district north of New Orleans, City Council still has not voted on the controversial plan. This is a testimony to the movement that has been built up around this issue, a movement that includes the more than 3,700 people who have signed the anti-stadium petition. Today is April 3, 2014 – the 149th anniversary of the day Union troops, led by Black soldiers, marched into Richmond, tore open the slave jails and ended nearly 200 years of slavery in the city. Amazingly, this is not an official holiday here. To rectify that omission, stadium opponents have organized “Liberation Day 2014,” a program to commemorate and celebrate the fall of the Confederacy and the liberation of Richmond. As part of our program, Virginia resident Linsey Williams, a direct descendent of “Twelve Years a Slave” author Solomon Northup, will be reading from her ancestor’s account of the night he spent in a Richmond slave jail. As she reads his moving story, she will be standing on the very spot in the Shockoe Bottom district where the jail once stood – and where the mayor and the wealthy developers he represents want to build the stadium. To find out more ways you can help, pleases contact the Defenders for Freedom, Justice & Equality at: DefendersFJE@hotmail.com. 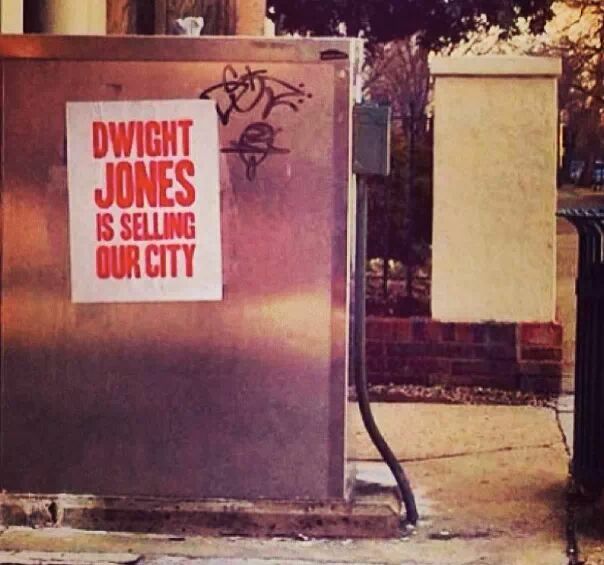 So got word that some people are giving the Wingnut credit/blame for the awesome #dwightjonesissellingourcity wheatpasted posters that are going up around town. Even heard a suggestion that the Wingnut might be raided over this. 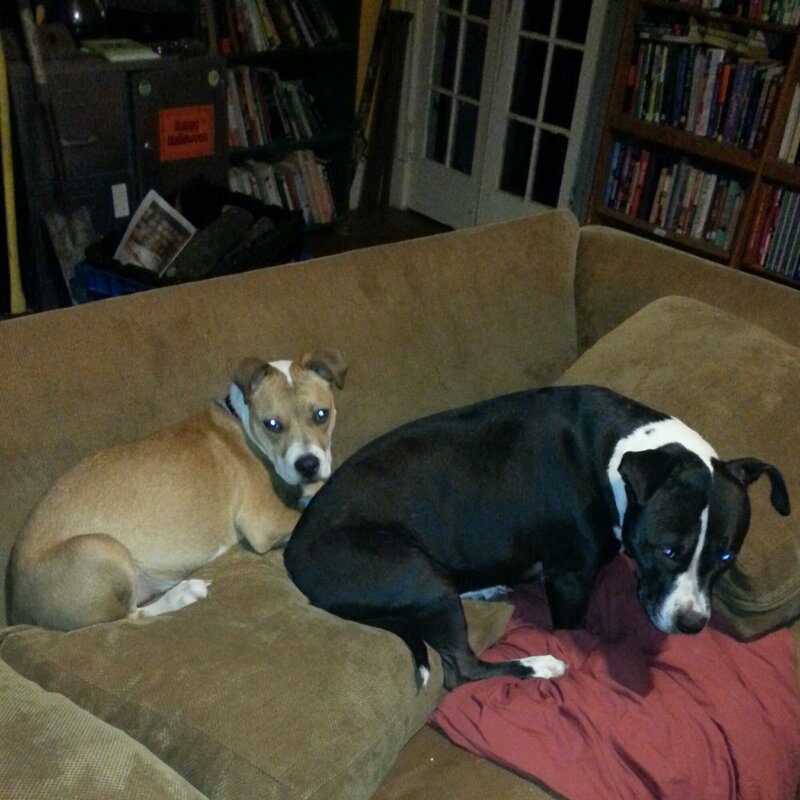 A raid would be bad cause of our four loving puppies. Well sad to say we are NOT the awesome people responsible for these posters, and we don’t know who is. We do think it is kinda weird that the city would be extra fussy to remove those specific pieces of street art over all the rest that goes on in this city. And maybe we need to start speaking out against money being spent to take down these posters when Loving RVA ads get free pages in official parks publications etc. We think the posters are awesome. We think we need more messages calling out the situation. And vandalism and civil disobedience are valid tactics in our tool kits. But please be careful who ever is doing this. It looks like the City wants to spend money to take em down and then catch someone to pin it on to charge them. The resistance has no leaders and no hierarchies. As far as we know it could be 100 different people doing this. 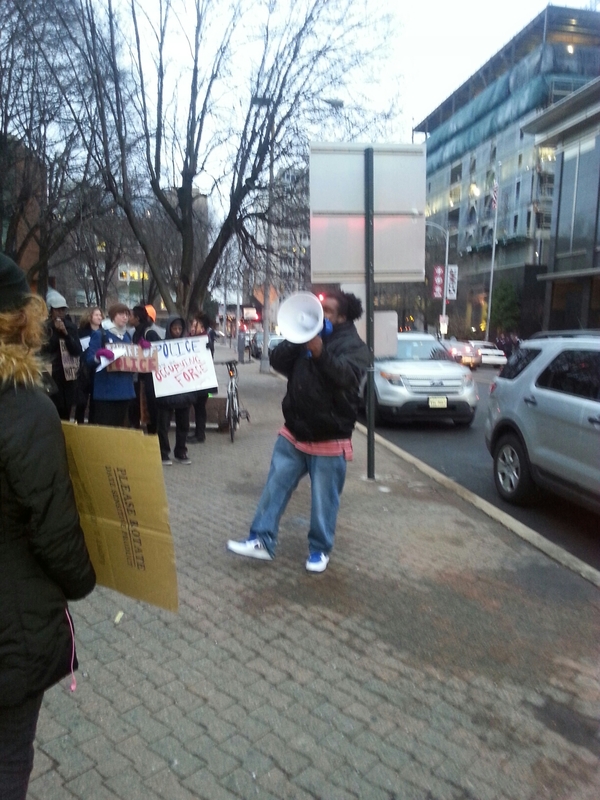 And we hope all 100 people get away with it and keep speaking truth to power through whatever means necessary. We look forward to seeing the many creative ways the resistance moves forward to fight against a stadium in shockoe, privatization of monroe park, and tax breaks for Vulture Richmond. Everyone who came out yesterday showed exactly how much heart we have on our side. Take care of yourself and take care of eachother so we can all continue in this struggle. And the next time we pack city council, lets organize snacks for everyone. Seriously. Councilman Hilbert held a 3rd district community meeting about the Revitalize RVA plan for a baseball stadium in historic Shockoe Bottom on Feb. 5 at Pine Camp on Northside. 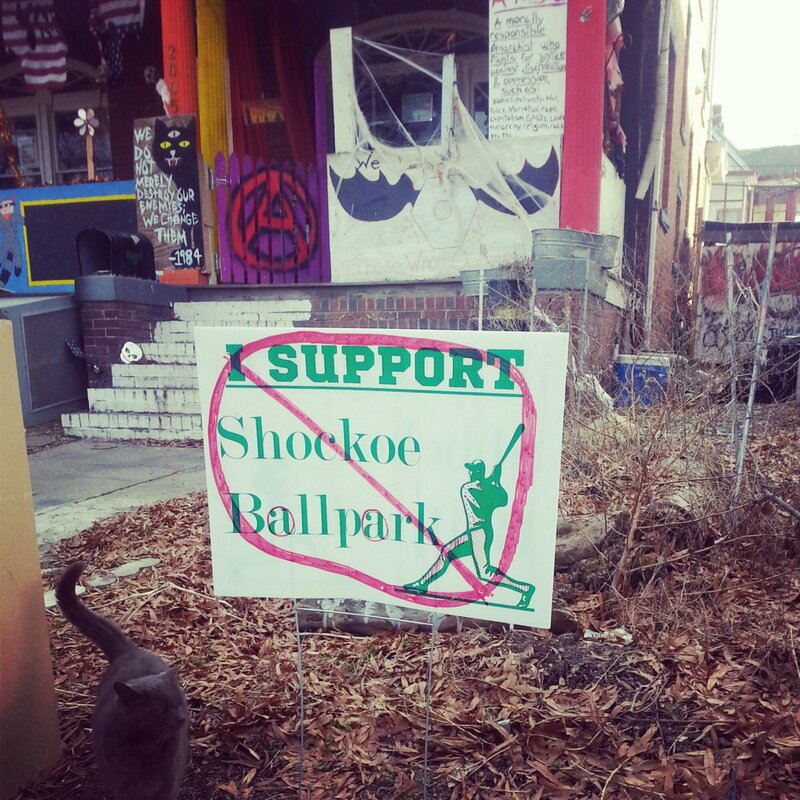 Farid Alan Schintzius noticed that someone had placed in the medians and other public areas pro- shockoe stadium signs, clearly targeting anyone headed to the meeting. 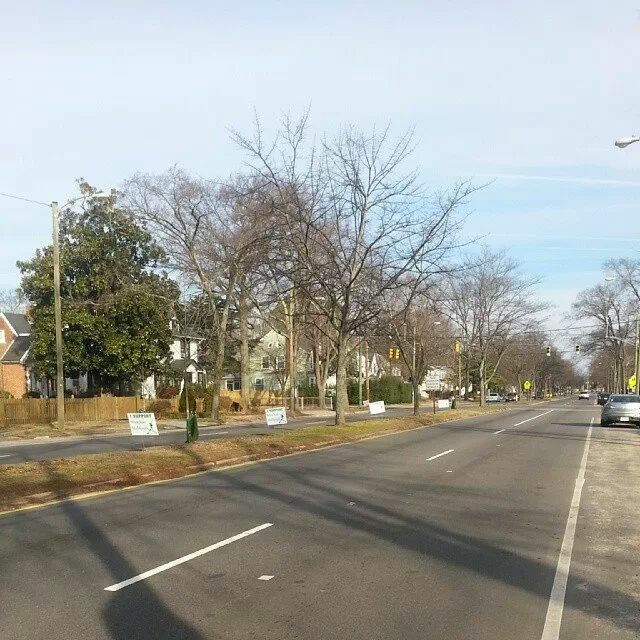 Signs in the median on Chamberlayne still there on the morning of the 6th. Who funded these signs and who illegally placed them in the public right of way, in a shady attempt to influence citizens is not known. What we do know is that Loving RVA and the Mayor have been engaging in underhanded and corrupt measures to use their money and power to push through the baseball stadium plan. Just this week it was revealed that a full page ad for Loving RVA was published in a tax payer funded parks and rec publication, which is not even supposed to have ads in it. 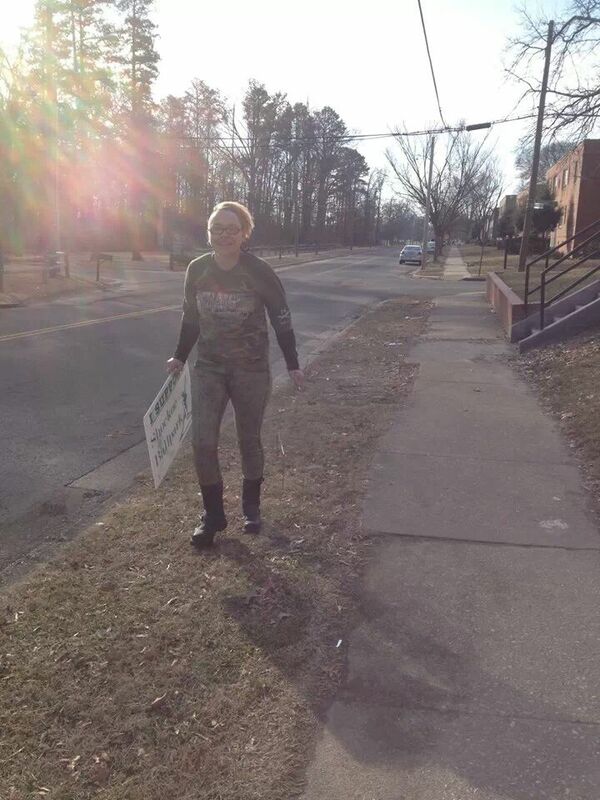 The signs have now been removed from everywhere we found then and we are going to use them for a more worthy cause. Join us and many many community groups and members at the City Council Meeting on February 24th at 6pm to insist that Council say No to the irresponsible, disrespectful, and corrupt Revitalize RVA plan. And if you happen to see any of these signs illegally placed around town, you know what to do.